An entertaining mix of high-fantasy, Shakespearian pathos, comic book heroics, and postmodern literary tropes, Conor McCreery and Anthony Del Col’s Kill Shakespeare is among the most creative and interesting comic series being produced today. The central idea is built around two particular literary motifs: the hero’s quest and the placing of different classical characters within the same universe. Del Col and McCreery take an assortment of Shakespeare’s best-known, and even some of his less well-known, heroes and villains, and send them off on a mission to retrieve the magical quill of a reclusive wizard known as William Shakespeare. The story opens shortly after Hamlet has been sent away from Denmark for killing Polonius. 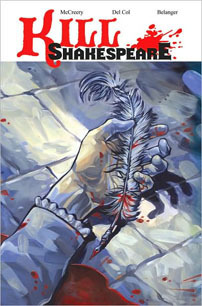 He winds up—after a series of less than fortunate events which will be familiar to even the most casual readers of the play—meeting Richard the Third; the king proposes that Hamlet, who appears to possess some sort of innate connection to the supernatural, find Shakespeare and his quill in return for having his father returned to life. Along the way Hamlet encounters and joins forces with a variety of Shakespeare’s great characters, including Falstaff, Puck, Juliet, and Othello. Richard the Third, Lady Macbeth, and Iago are also present throughout the series, conspiring in the background (and sometimes at the forefront) of the narrative to mysterious ends. As anyone who studies or teaches Shakespeare will agree, revising and reinterpreting any aspect of the Bard’s work is a difficult task. It’s one thing, certainly, to know Shakespeare’s worlds and characters, and something else entirely to be able to recreate them. Shakespeare was, despite some contemporary critical sentiments to the contrary, an entirely original and unique creative force—a master of human psychology, storytelling, and the English language all at once. Yet it’s because the creators of Kill Shakespeare do not attempt to mirror Shakespeare exactly that the book works so well. Del Col and McCreery clearly know the canon and work well within the structural limitations imposed upon them by it; they do not overtly violate the key elements of any character’s psychology or attempt to transform any of those characters too drastically. That said, they also do not attempt to imitate Shakespeare’s language by having characters converse with each other in iambic pentameter. In many respects, this willingness to abide by Shakespeare’s structures without trying to imitate his sound is among the greatest strengths of the work. 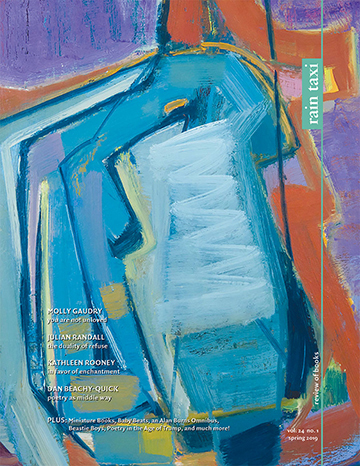 Del Col and McCreery borrow from Shakespeare—just as Shakespeare himself borrowed from a variety of sources—rather than merely imitate him, hence they create a work that pays tribute to his work while presenting an entirely original vision of his characters and stories. The art, while often strong and striking, at times seems a bit too cartoony and animated for such an often dark and grisly story as this; a more realistic style of comic art would seem more appropriate for the tone and general style of this sort of story. Similarly, some of the more brutal scenes in the story, as well as the supernatural scenes, would have benefited from sharper and more forceful illustrations. That critique aside, the art is nevertheless lively and of high quality, and helps to bring the story even further to life for the reader. The actions scenes are especially visceral and engaging—Belanger has a real knack for choreographing fights—and each character is rendered distinctly, appearing just as one familiar with Shakespeare (and the countless popular adaptations of his plays) would imagine them to look. Taken as a whole, Kill Shakespeare is a terrific book that will appeal to readers interested not only in Shakespeare, but also in literary experimentations, epic adventures, and high fantasy. While the series is not as sharp and clever as Alan Moore and Kevin O’Neill’s League of Extraordinary Gentlemen (a Victorian pastiche which subtly draws on the entire history of Western literature), Kill Shakespeare does recall that book’s sense of wonder, excitement, and both overt and subtle intertextuality. This volume collects only the first six issues of the series, which is still ongoing and slated to run for a total of twelve issues.